I don’t always start my blargs by writing a title first, but when I do, I tend to immediately recognize the problems with the title. For example, I just titled this blarg “The Buzzing of Flydeas” (sticking with that, totally), and I realized that in that context, it might read more like Flydeas is a person perhaps of pseudo-Greek descent (Flid-E-es, or like Darth Sidious for you Star Wars berks out there) and not the mashup of flies and ideas (Fly-deas) that I intended. Incidentally, I’m setting aside “The Buzzing of Flydeas” (pseudo-Greek mythological hero) as a potential story idea. Trademarked, copyrighted, no takesy-backsies. If that’s even how you spell takesy-backsies. Takesie-backsies? Doesn’t feel right. Anyway. I love Ghostbusters. Both of them. 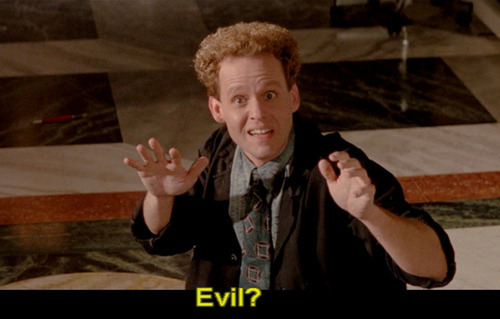 And one of my favorite moments of both movies is in the second film (is it pretentious to call Ghostbusters a “film”?) is when Yanosh (Janos? I dunno) is telling the ‘Busters, who have just busted up the museum and screwed up Lord Vigo’s resurrection attempt: “He is Vigo! 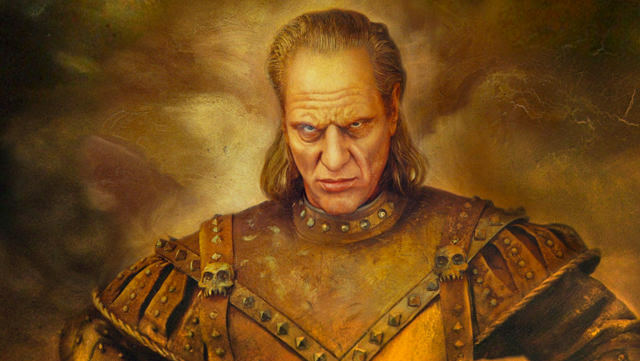 You are like the buzzing of flies to him!” and he turns to see that Vigo has vanished completely. The confidence in his project that Yanosh has is so complete and inspiring, and then his despair when he sees that his master has (apparently) deserted him is priceless. So, yeah. When I saw that the week’s SoCS prompt was “onomatopeia,” I thought immediately of Lord Vigo and the buzzing of flies. Here’s a guy with the power of the cosmos at his control. Survived multiple assassination attempts, harnessed the dark spirits of the underworld, bound his spirit into a painting so that he could come back from the dead in the new millenium, and rocked a freaking mullet. He had his sharknado together, even if his sharknado was all about building his throne of blood. And he was so focused on his sharknado that even the best resistance the world could muster against him (the Ghostbusters) was only as the buzzing of flies to him. So focused he saw his obstacles only as blurs in the side of his vision, tuned them out like static on the radio. Where’s this metaphor going? Well, writing, of course. Because I’ve got the new novel on my mind in a big way. I started it with goals and portents in mind, but it’s been a bit of a slow start… I’m waffling on my protagonist a bit, I’ve agonized over the point of view, I’ve kvelled over the themes and tones and structures in the book. But this past week, that magic thing is happening; that thing where, like Frankenstein bunging a fork of lightning into the cerebellum of his reconstructed monster, the story flickers to life and starts to move of its own twisted accord. Characters have started doing things I didn’t expect. Unforeseen twists and deviations are sprouting up on all sides. The thing is getting seriously fun to write. The surge in creative energy (and creative determination: the writing is going well, so I’m more determined to get the writing done, which makes the writing go well, which…) has my head buzzing with ideas all the time. Some of them great for the story, lots of them not, scads of them completely unrelated to the story. Just a week ago I tossed off a really delightful (I felt) short story about a door-to-door salesman for vampires, and for whatever reason, it seemed to resonate with people. Whether it soaked up some of the creative juice from the novel or whether I just hit on something else good at the same time, it worked. And it worked so well, it got me thinking, “what if I extended it? Could this short about a solicitation by a wandering con man turn into a full short story rather than just a flash fiction? Could it grow into a novel?” And all of a sudden, I felt that story — that side tale, that deviation, the buzzing of flies — pulling me off my goal for the current novel. But here’s the thing. When I’m in the flow, when I’m writing well and really enjoying the work, this kind of thing happens all the time. The ideas spew out like a pipe has burst in the wall: liquid inspiration pouring out of ceilings, drywall, light fixtures, electric sockets. Paradoxically, the project that generates the inspiration becomes really, really difficult to focus on for all the flydeas buzzing around (see, I finally got there). And it’s hard to say that this is a bad thing, because it gives me more material to think about for the Time that Comes After, that dread expanse of time after writing and editing the novel when it goes out for reading to various folks whose opinions matter when you have to start work on the next big thing. Still, it gets frustrating dealing with all the buzzing of the flydeas when they’re all in your ear while you’re trying to get something done. What to do? Make notes. I always keep note cards handy so that I can jot down any idea when it strikes me. I keep a notebook now, (one that I will not lose again, like I totally did about eight months ago) for more long form exploration of those ideas when I have a bit more time to sit with them. And I’ve started using Evernote, which is a fancy way to keep notes in a virtual space that’s accessible from any computer. Point is, if you’ve got all these flies buzzing around your head, ignoring them isn’t going to make your life any easier. You’ve got to either smash them (shut the idea down completely, which — just like swatting a fly — good freaking luck) or open the window and let them out (which means getting up from your work for a moment — stepping aside from the project for an instant to make a note — so that you can come back and resume your focus). The Flydeas are a curse for pulling me off the project, but they’re a blessing too — they remind me that my creativity doesn’t live and die with the project I’m working on. Let ’em keep buzzing. But they’ll do it in the tiny little jars I’ve trapped them in. How do you deal with your off-topic ideas when they strike? This entry was posted on Saturday, June 13th, 2015 at 9:01 AM	and tagged with blogging, film references, flydeas, frankenstein, ghostbusters, inspiration, mixing metaphors, Star Wars, stream of consciousness, where do ideas come from, writing about writing and posted in Writing. You can follow any responses to this entry through the RSS 2.0 feed. Ooh, head buzzing with ideas and soaking up creativity. Love this post about the writing process. I must keep notes because my head is simply buzzing, out of control, with all kinds of ideas. Strange concept. I wish I had even a few of their working multiple eyes to see. I don’t know how to stop the buzzing. Sometimes the ideas pester me so much, like a pesky fly that “bugs” you when you’re trying to sleep, and I can’t calm the buzzing. I blame blogging. Since I started oing that, my head is buzzing 24/7 and as soon as one fly is swatted, another takes it place. I shouldn’t complain really, but when I think of it as flies buzzing I immediately want to ush the noise. Thanks for making me think over this excellent SoCS post this morning. Good luck with your novel, short story, flash fiction or whatever else the buzzing flies produce. 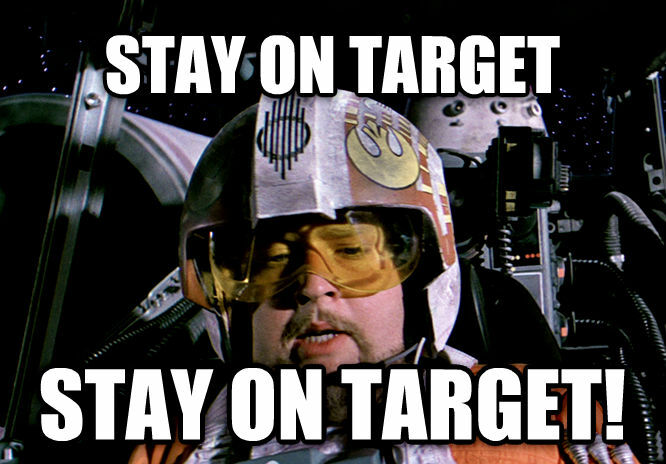 I used to have the same thing about blog ideas, but lately it seems the flow in that arena has slowed to a trickle. Which is fine, really, the blog is not my goal, it’s just something I use to keep the juices flowing. The much more interesting ideas I save for my stories. I have no problem with writing those ideas down – they really do seem to come in swarms when you’re busy working on something else, don’t they? My issue is that if I leave them too long, I lose the enthusiasm for them. What seemed like an “oh yeah, I gotta do this!” one week becomes an “ehh, whatever” the next. Am I alone in this? Nope, that’s exactly what happens to me. That or the idea doesn’t even make sense out of context of the moment in which I wrote it. Ha! Yeah, I have so been there too. Annoying, isn’t it? Especially when you can still remember the excitement you felt when you wrote it.